People who are looking for the 4G upgrade that Motorola has been promising forever will have to wait a little bit longer. Motorola has just got past the FCC regulations with integrated 4G LTE unit. The exact model number was known as the IHDP56LU2. The tablet has won approval from the FCC for its Wi-Fi, Bluetooth, CDMA, and LTE capabilities. 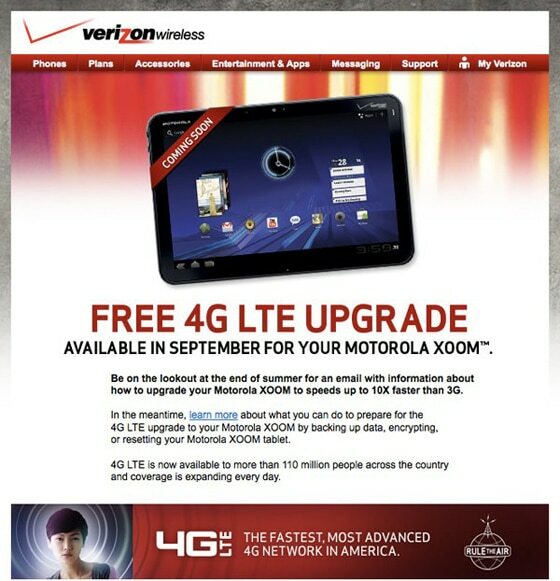 If you just cannot wait for the Motorola Xoom 4G model you can pick up the WIFI only for $499! Recently it had a pricecut of $100 which makes it a little bit more viable.